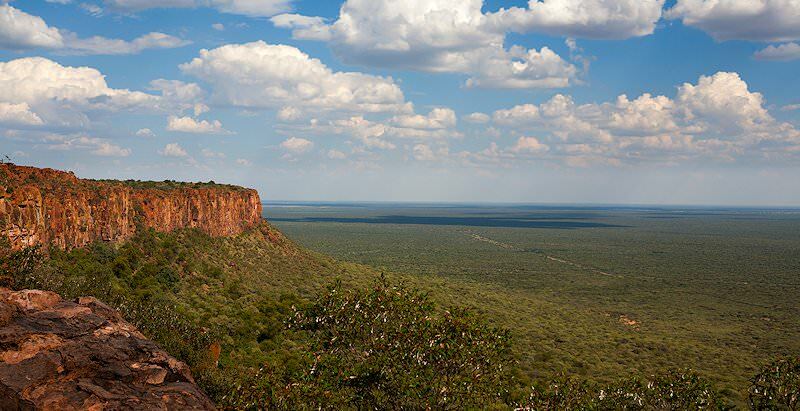 The Waterberg Plateau Park is one of Namibia's most scenic and wildlife-rich areas. The Waterberg Plateau Park in Namibia is one of the country's less frequented but surprisingly rewarding wilderness areas. The reserve is particularly known for its diverse vegetation and being somewhat of a 'breeding ground' or relocation haven for endangered or rare species like the black and white rhino. Rare antelope species that thrive here include eland, roan antelope, tsessebe and sable antelope. If you aren't after ticking dangerous game species or predators off your list, you'll really enjoy the more unique offerings of the Waterberg Plateau. The park's most significant feature is the 50km long and 16km wide 'table mountain', rising from the plains to a height of up to 200 meters. The views from the top are truly spectacular, allowing visitors to take in sweeping vistas of the surrounding landscape. Even from the nether regions of the park, however, it is beautiful to gaze up at the brick-red hues of the sandstone cliff face - particularly at sunset and sunrise. Geologically, the oldest rock stratum is over 850 million years old, and dinosaurs tracks were left there some 200 million years ago. The area is very historically significant in terms of both ancient and recent history, hosting San rock art engravings as well as the graves of those that perished in the Battle of the Waterberg. Hiking trails, rhino tracking, cultural tours, game drives and history walks make up the engaging activities on offer in the park. The steep cliffs and low-lying areas are home to a number of big game species. Elephants, rhinos, giraffes, small carnivores and a number of antelope and birds can be seen year-round in the park. Among the many antelope species found here are the kudu, the eland and the red hartebeest. Cape Vultures, once abundant, are now scarce and one of the main attractions of the park. The 8 remaining breeding pairs of these vultures are found within the borders of the park - the only ones of their kind in the whole of Namibia. All game drives are guided and take place bi-daily. There are a few guided tours guests can take around the area to appreciate the scenery and wilderness around them. One of these guided tours takes you to the top of the plateau and offers an amazing view of the park and its surroundings on a clear day. There are also nine unguided hiking trails, including a serious 42km adventure where hikers are expected to be entirely self-sufficient. With around 500 species of flora occurring in the park, the Waterberg Plateau is renowned for its diversity. A whopping 74 species of grasses occur in this area. Approximately 69 tree species have been identified, while 139 have been recorded in the area in total (i.e. beyond the borders of the park itself as well). If the finer details of nature fascinate you, you will find a visit to the Waterberg Plateau particularly rewarding. 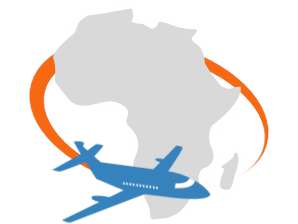 By air, your journey from your home country to Johannesburg or Cape Town International Airport is followed by a regional flight to Windhoek’s Hosea Kutako International Airport. Once you have set foot in the capital of Namibia, you can either take a short charter flight to the Waterberg Plateau Park or take your journey to the road. Most tours will include this charter flight for convenience purposes, and it is the recommended choice of transport to the park. Your drive from the capital, Windhoek, will be in a large, comfortable vehicle, and will be around four hours in duration. 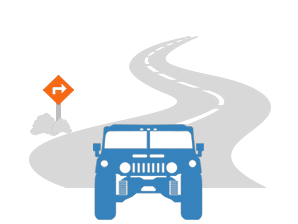 If you went with the recommended charter flight option, the drive will only be a few minutes from the airstrip to your camp or lodge. June to October is the best time to visit the park. The area is reasonably hot year-round, but the summer heat between January and March might be too much for some. April and May are a bit cooler, but the winter and early spring months are the best time because of the drier, more temperate conditions that are better for game viewing and are more bearable. In these months, like most drier regions, animals gather around waterholes and dams for water because it is scarcer, as opposed to summer when rains make water more accessible and scattered around bush-areas. Nonetheless, you are bound to find an abundant range of animal-life year-round here, despite the winter months being a better option for visiting. The area is exceptionally old, even among the rest of the archaic region today referred to as Namibia. A number of fossils and signs of ancient life have been excavated here, with some of the rocks here dating back nearly 850 million years, before most life on earth today. Dinosaur footprints or tracks have also been unearthed here on more than one occasion, with carbon-dating reporting that these reptilian beasts roamed the area around 200 million years ago during the early stages of the Jurassic period. In more recent history, the area has become home to the tribes of the local Herero people until their attempted extermination by colonial German forces in the infamous battle of Waterberg in 1904. Very few Herero descendants are still alive today, none of which are in the region. The park is rich in biodiversity, with many animal and bird species. Antelopes like the Eland, kudu, red hartebeest , klipspringer and rare Damara dik-dik are found within the park. Klipspringers are found on the foothills of the Waterberg Plateau, where they are often hunted by the area’s leopards. Furthermore, hyenas, jackals, small feline carnivores like caracals and cheetahs can also be found in the region. Baboons are occasionally observed sitting on rocks, socializing. Rhinos and elephants are also residents here, and giraffes can often be seen browsing on the tops of the many thorn tree species that are found in this rather arid region. The Plateau, standing out among the flatness of the Kalahari and the semi-desert areas that surround it, resembles Table Mountain in the sense that the plateau is virtually a vertical shift of the region that surrounds it. The rocky cliffs are full of quick-footed antelope and smaller, herbivorous animals, while the usual plains game graze upon the arid Kalahari flats which the cliffs look down upon. Many interesting plants and trees grow on the hills of the Waterberg, some of which root themselves into the rock itself. From a distance, the Waterberg is lush and green in relation to the area around it, especially the region to the East going into the Kalahari. Hiking and walking trails up the cliffs or between its foothills are offered. These trails are guided by professionals of the respective camps of the area and offer an educational and adventurous exploration of the area and its history. The area’s colonial and geological histories are among the many attractions one can explore. For guests who are looking for less strenuous activities, there are always game drives and breathtaking scenery to take in and admire. The game drives are also guided and done from the comfort of a shaded, touring vehicle. During these game drives, guests are exposed to the most beautiful nooks and corners of the park and the area. The Waterberg Plateau's unique combination of historical intrigue, bountiful wildlife and striking geology lends itself to a wealth of unforgettable experiences. Relish the diversity and the off-the-beaten track nature of this hidden gem. Due to the fact that the plateau is inaccessible from below, several endangered species were relocated here from other parks to protect again poaching. You'll be able to encounter the critically endangered black rhino in an area where it thrives on its safety. The views from the top of the 50km long and 16km wide 'table mountain' are simply spectacular. Sunsets and sunrises are particularly mesmerizing, as the sun's rays cast warm colors across the sandstone cliff faces of the mountain. The area is the historical home of the Herero people, who were practically wiped out during a genocide perpetrated by occupying German forces in 1904. You can learn more about the Battle of Waterberg and the Herero and Namaqua Wars during your visit to the park. When did the Battle of Waterberg occur? The Battle of Waterberg occurred in 1904, changing the course of Namibian history. How many species of mammals can be found in the park? The park is home to 25 different species of mammals, including rare and endangered ones. The national park accommodation is very reasonably priced and quite comfortable, but staying in one of the lodges in the Waterberg Wilderness Private Nature Reserve will offer a more inclusive and activity-rich vacation. Are the self-guided hikes safe? Yes - just be very mindful of wildlife and do not approach any animal you encounter, no matter its size or specie. We would always recommend rather enjoying a guided hike, as it also offers the opportunity to learn more about the environment you are traversing. Does the park run any conservation initiatives? Yes - a cheetah conservation fund, as well as a 'vulture restaurant' set up by the Rare & Endangered Species Trust. What kind of cultural experiences are available? The OvaHerero Cultural Center just east of the Waterberg offers great insight into the history and culture of the OvaHerero people.